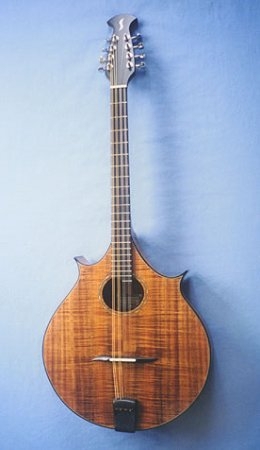 I make several different styles of bouzoukis/octave mandolins and citterns.The most common tunings for a four course instrument are GDAE and GDAD. 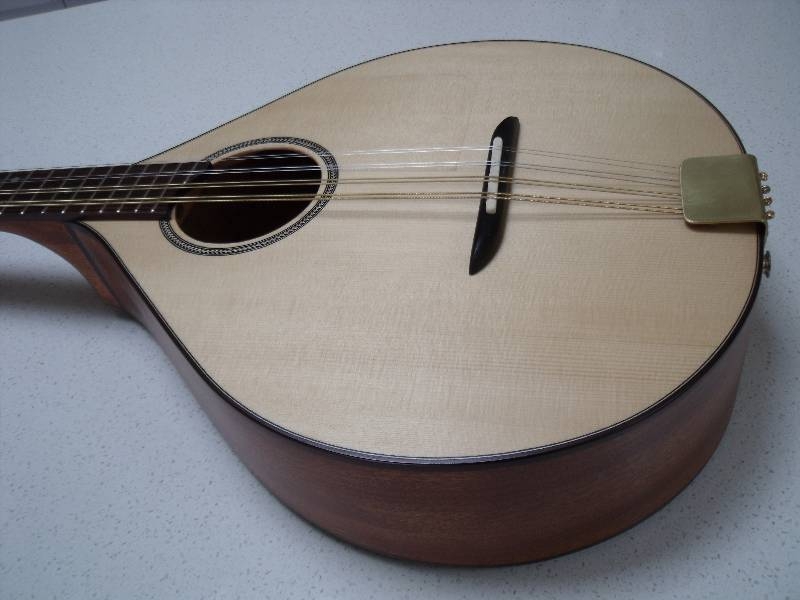 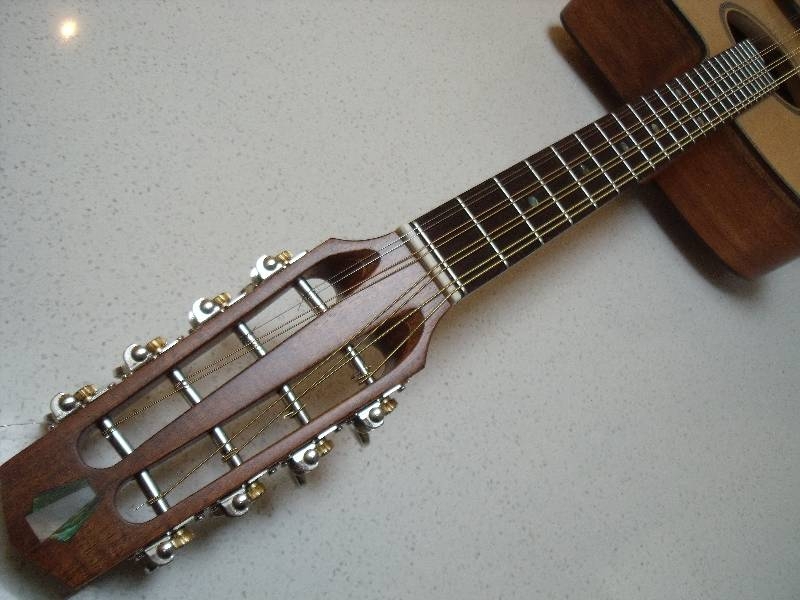 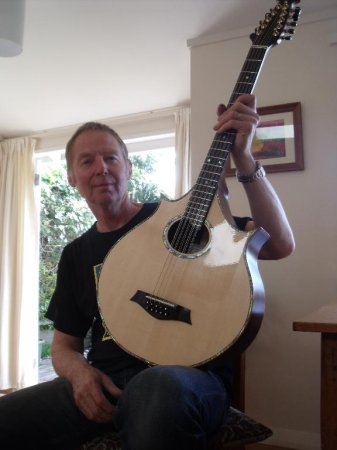 My bouzoukis and ten string citterns can have different scale lengths for alternative tunings. 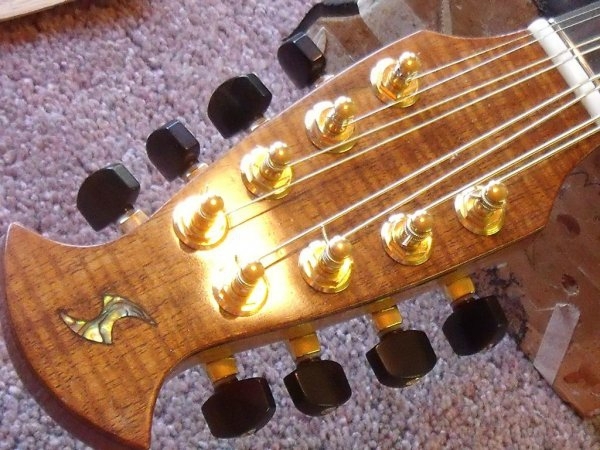 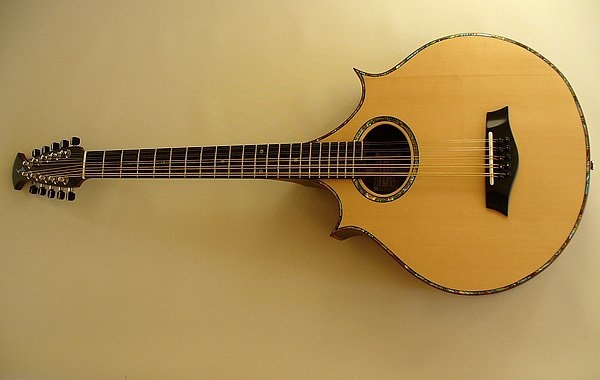 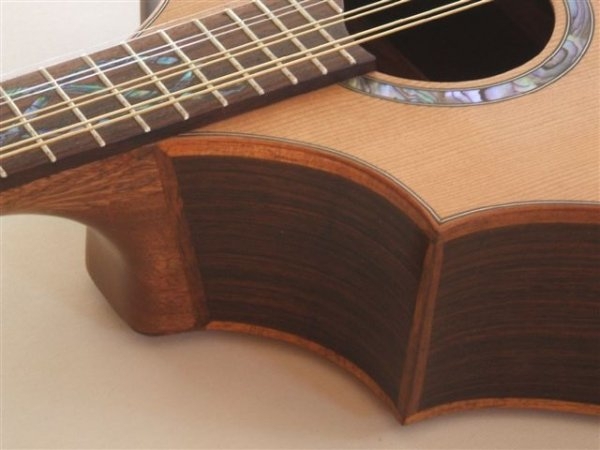 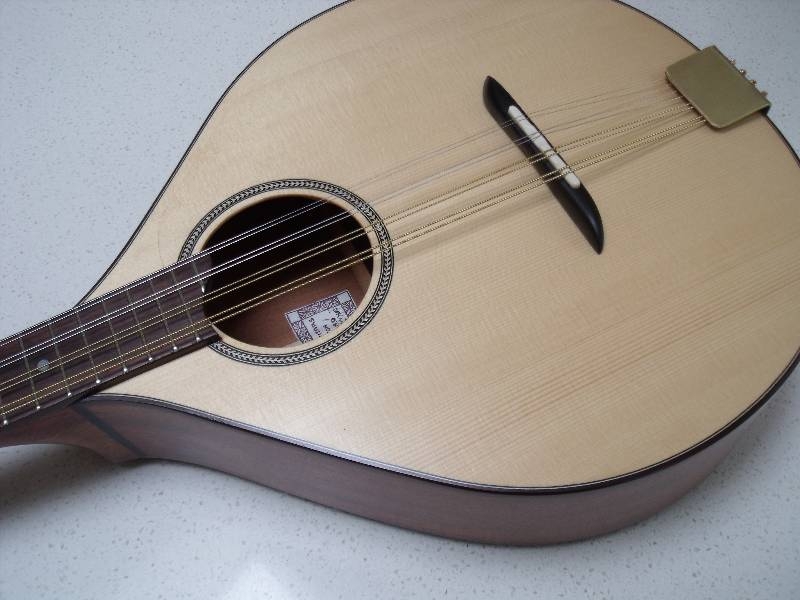 Shorter cittern scale lengths suit a high A string, and longer fretboards suit a bass D string. 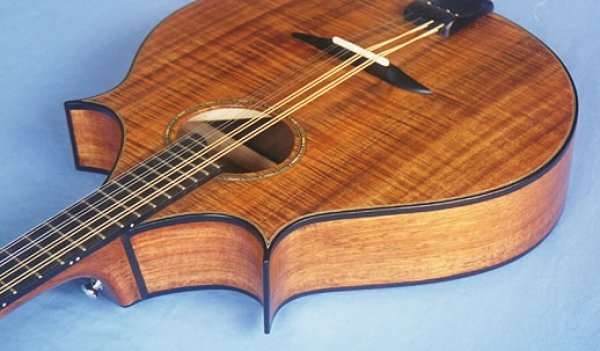 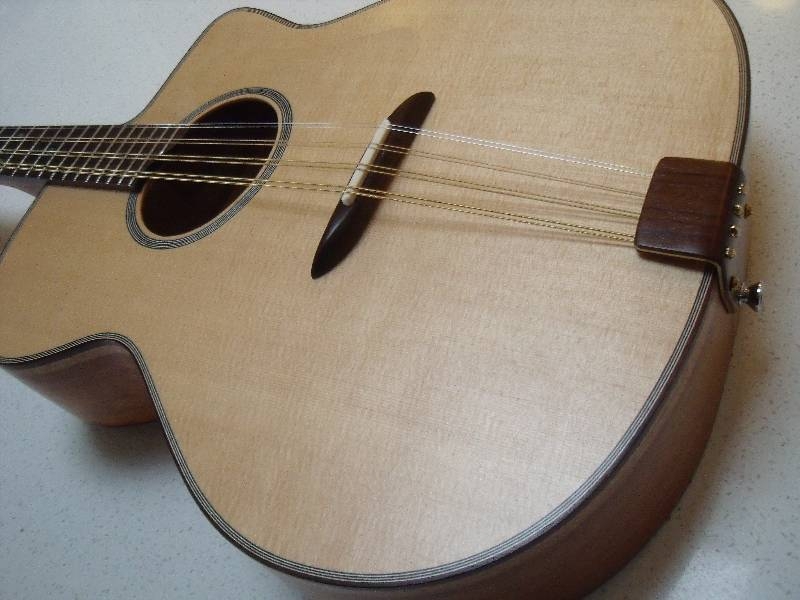 All instruments can be custom designed and made to suit a particular style of playing, whether that be strumming or picking out speedy Celtic tunes. 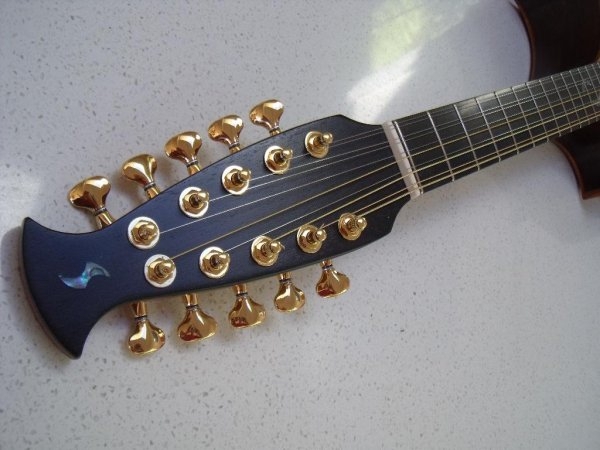 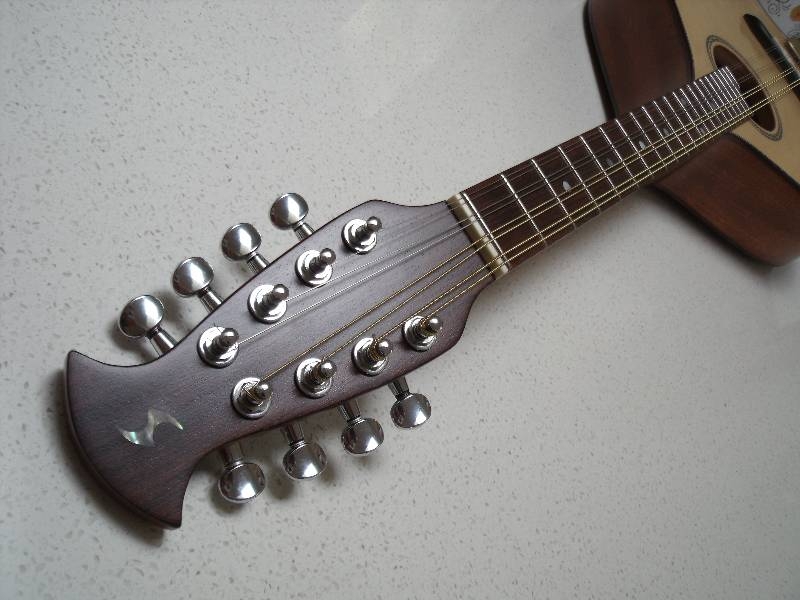 Pick ups can be installed under the saddles or using K and K soundboard systems. 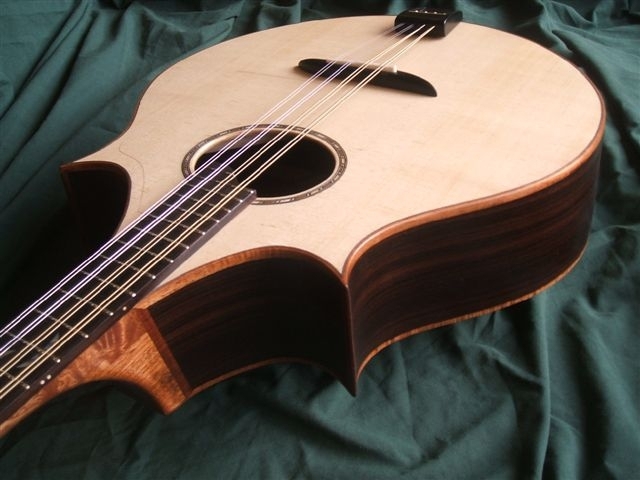 All instruments come with a hard case. 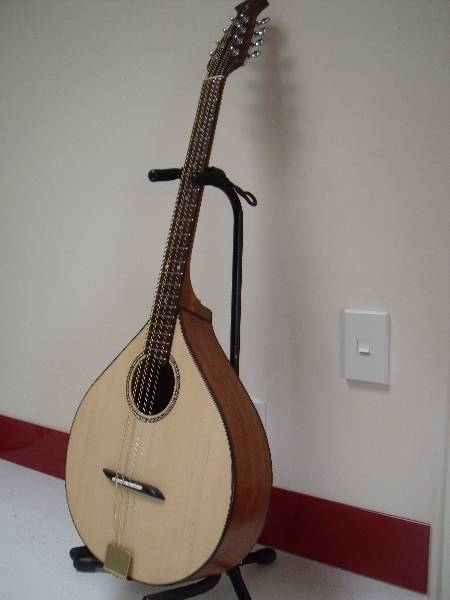 Pictured below are available instrument options. 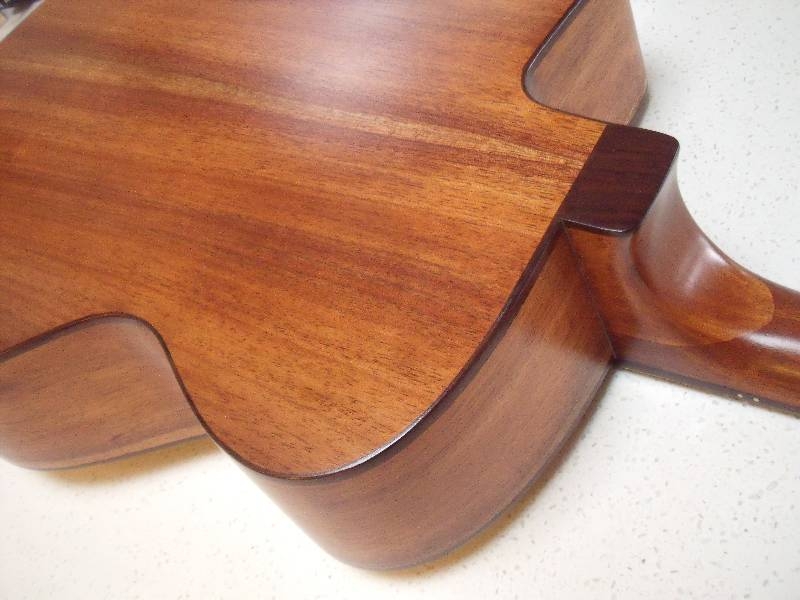 Please contact us with any queries on materials and pricing etc. 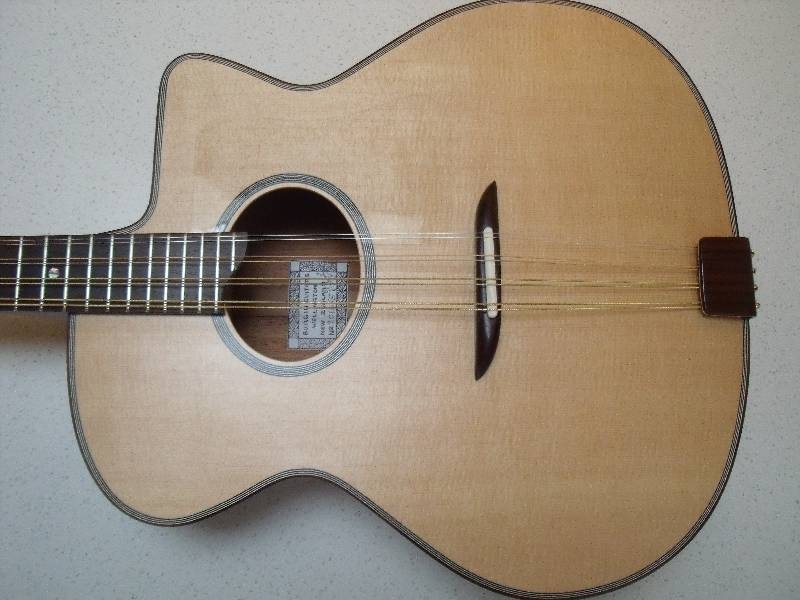 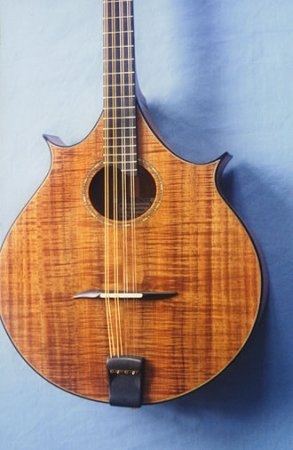 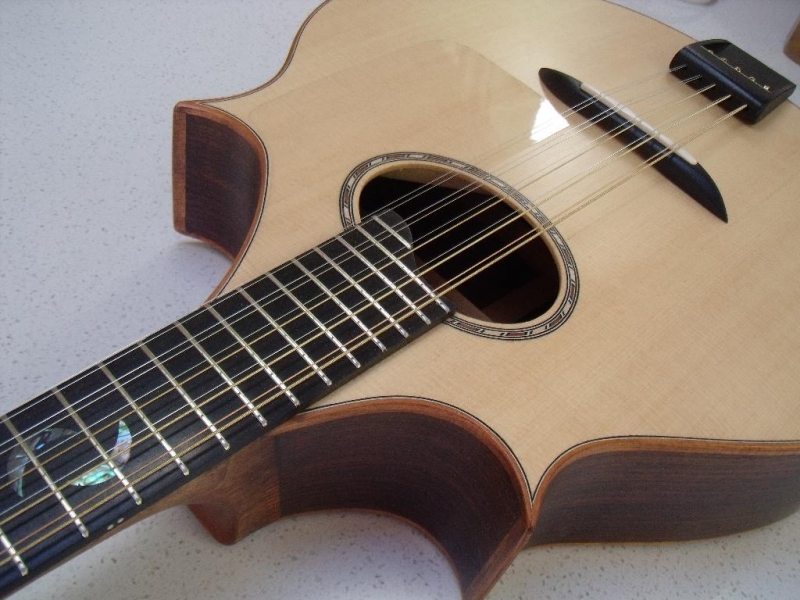 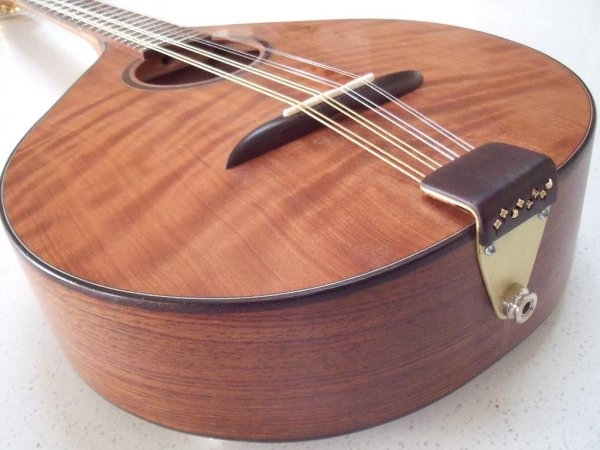 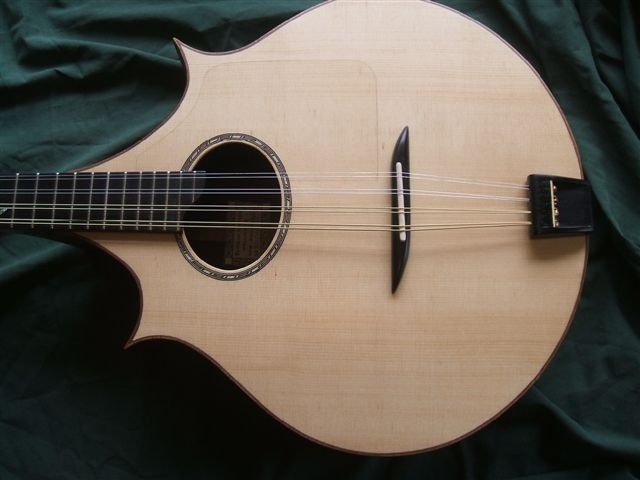 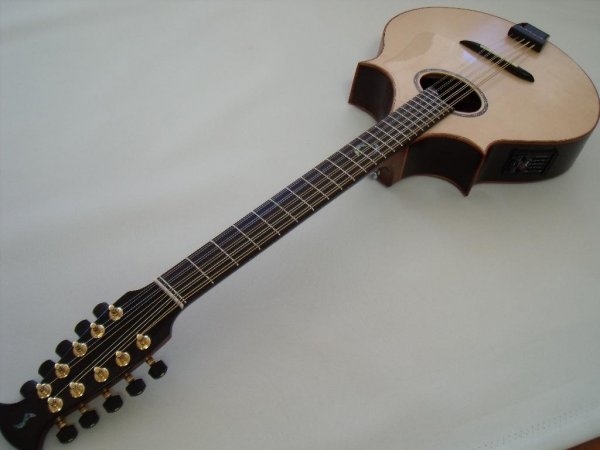 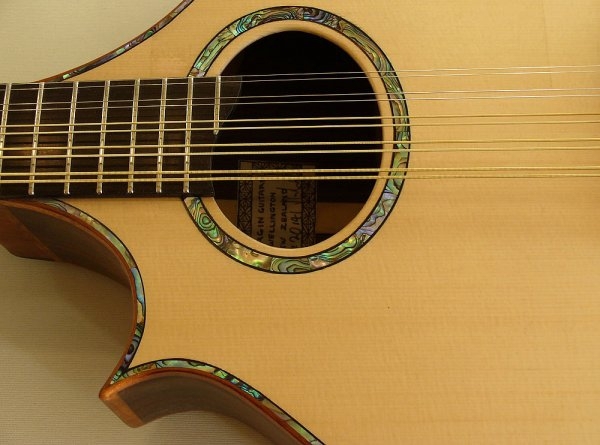 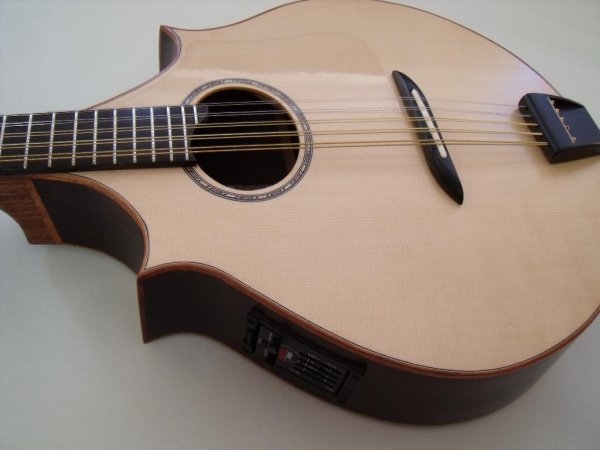 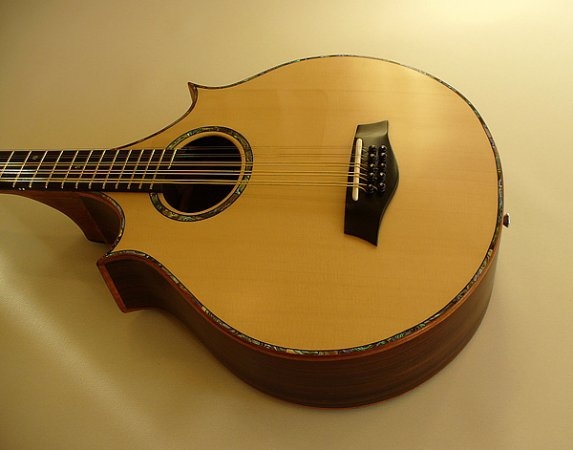 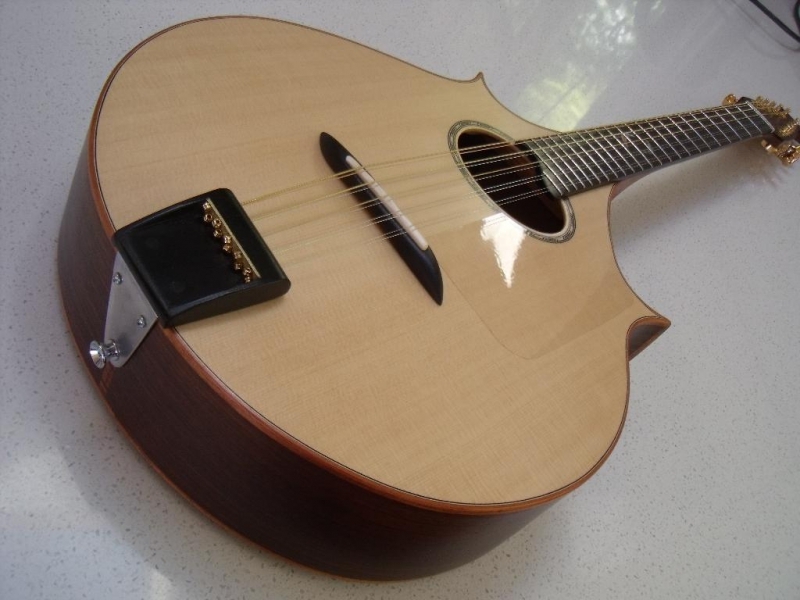 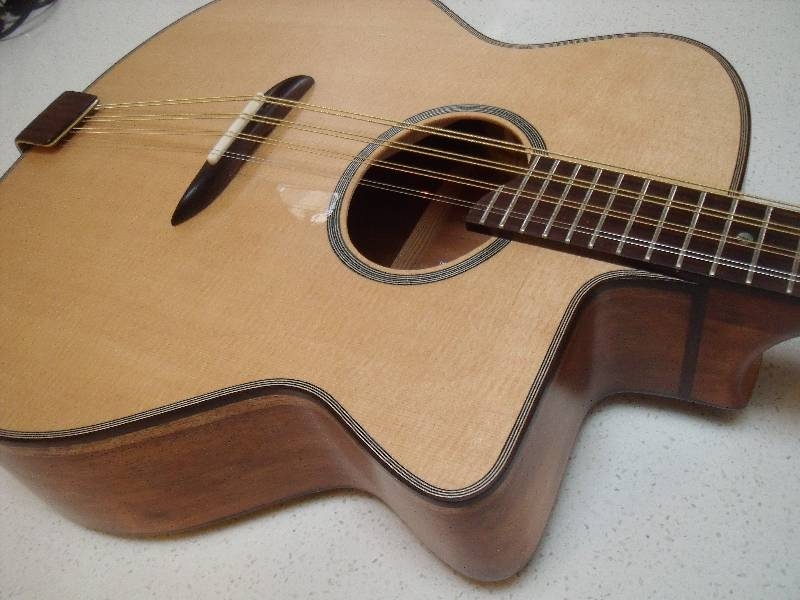 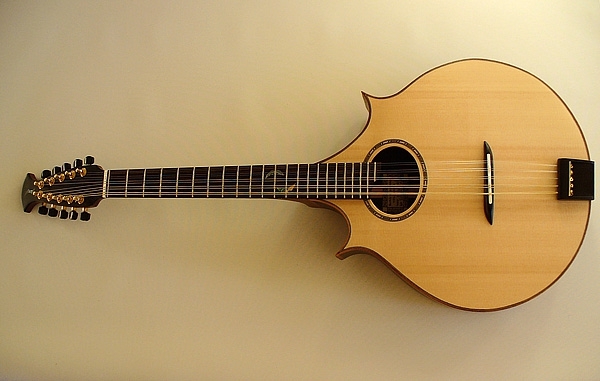 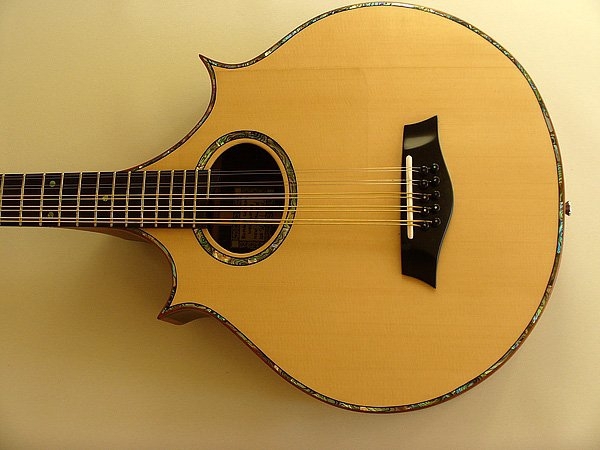 Pin bridge Cittern inquire for pricing details.